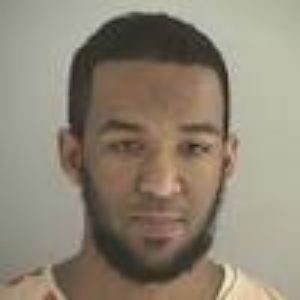 The Department of Justice (DOJ) announced today that Munir Abdulkader, a 21 year-old man living in West Chester, Ohio, pleaded guilty to various terrorist charges in March. Abdulkader communicated with a key Islamic State recruiter, Junaid Hussein, who was killed in an American airstrike in Raqqa, Syria on Aug. 24, 2015. In May 2015, Abdulkader communicated with “one or more individuals located overseas who he understood were members of ISIL,” according to the DOJ. ISIL (Islamic State of Iraq and the Levant) is the US government’s preferred acronym for the Islamic State. Abdulkader took a number of steps to prepare for his planned attacks, including asking the “confidential human source” to “purchase a vest for holding ammunition,” conducting “surveillance on a police station,” purchasing an AK-47 assault rifle and practicing with firearms at a shooting range. Abdulkader’s desire to join the Islamic State apparently predated his contacts with Hussein. Between July 2014 and sometime in 2015, “Abdulkader expressed his support for ISIL on Twitter.” Then, in “approximately March 2015,” Abdulkader “began speaking with a confidential human source…about his desire and intention to travel to Syria in order to join ISIL, and then began making plans and preparations to travel overseas.” Abdulkader made plans for his trip to Syria, but abandoned the idea in April 2015. Within weeks, he began conspiring to attack both the military employee and police station. Prior to his demise, Hussein was in contact with multiple Islamic State suspects in the West. Even before he relocated to Syria in 2013, Hussein had built a reputation as a hacker. He broke into former Prime Minister Tony Blair’s digital address book and posted some of its contents online. The stunt landed him several months in jail in 2012. In Syria, Hussein reportedly helped lead the “IS Hacking Division” and the “cyber caliphate.” The latter claimed credit for obtaining CENTCOM’s passwords for its Twitter and YouTube pages in January 2015. Both pages were temporarily rebranded with imagery from the “cyber caliphate,” which also posted information on US personnel. Press reports fingered Hussein as one of the main suspects behind the CENTCOM social media hackings. Hacking web pages and address books wasn’t Hussein’s only specialty. In one iteration of his Twitter feed, “Abu Hussain Al Britani” (believed to be Junaid Hussein) listed his user names for several encrypted applications, saying that anyone interested in carrying out attacks could learn how to do so using the apps. After his death, some high-profile Islamic State supporters blamed Britani’s use of apps that aren’t totally secure for his demise. Abu Hussain al Britani’s Twitter presence drew suspicion in May and June 2015, when his comments seemed to indicate ties to terrorists and extremists in the US. Elton Simpson, who attempted to attack the “Draw Muhammad” contest, may have been in direct contact with Hussein. As The New York Times reported, Simpson tweeted that people should follow an account linked to Hussein shortly before his failed assault. Hussein’s tweets before the attempted shooting indicated that he possibly had foreknowledge of Simpson’s plans. The tweets suggest that there may have been more to Simpson’s relationship with Hussein. Then, in June 2015, “Britani” claimed on Twitter that he had encouraged another Islamic State supporter, Usaamah Rahim, to carry a knife in case anyone attempted to arrest him. Rahim was shot and killed by police in Boston after allegedly wielding a knife. Abdulkader’s plot is consistent with the effort by Jones and Hussein to encourage individual terrorists to strike US military personnel. Thomas Joscelyn is a Senior Fellow at the Foundation for Defense of Democracies and the Senior Editor for FDD's Long War Journal.